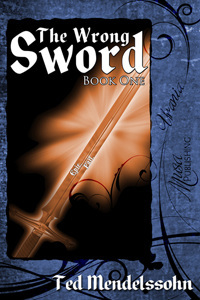 Welcome to the website for The Wrong Sword and its (upcoming) sequels, Hero's Army and City of Brass. We're here to answer all your Wrong Sword-related questions and, frankly, sell you some books. We got other stuff too! Like, you know, tasty sample pages. And a FAQ. And a blog. And pretty soon we'll have an appearance schedule, little plushy swords for the tots, and NSFW art of a scantily clad Excalibur lounging on a beach. [Or a scantily clad Henry the Rat...we're equal-opportunity opportunists.] Of course, if you want to see something specific up here, let me know.